Which part of the cell has the genetic material and is often called the "brain of the cell"? Which structure is found in plant cells and not in animal cells? Which part of the cell makes the basic amino acid chain for proteins? Which part of the cell is responsible for packaging and transporting substances made in the cell? Which part of the cell is responsible for breaking down used organelles and essentially "digesting" substances? Which organelle is responsible for the chemical energy needed for the cell to function? Which organelle uses energy from sunlight to make glucose? Which part of the cell is made up of a network of filaments that maintains the cell structure? Which is NOT found in a prokaryotic cell? Which part of the cell makes substances that do NOT contain proteins? Wowee zowie! You're a mighty science wizard, just like Bill Nye! Are you like, Bill Nye the Science Guy or something? That was a phenomenal showing of your cell anatomy knowledge, and we're simply floored by your aptitude. Science is freaking cool, isn't it!? Way to go! Alrighty, you're not the most scientific person to ever grace the planet. Science isn't everyone's strong point. 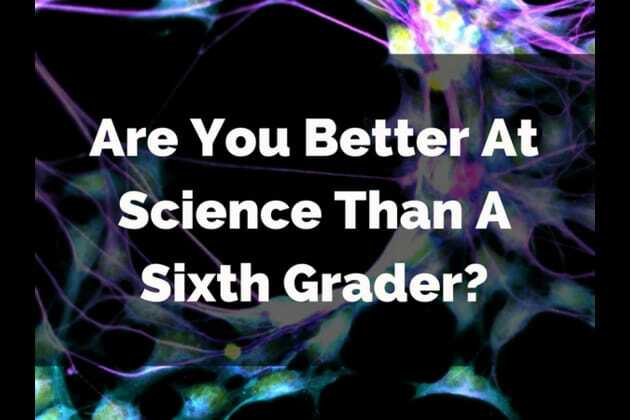 But that doesn't mean you're doomed to be a science screwup for the rest of your life! What if you tried some flashcards, and did some lab experiments? Being a science whiz isn't out of your reach, especially if you're reaching for the stars!